SAN FELIPE, Baja California, Mexico – Prominent San Diego third-generation desert racer Andy McMillin returned to his desert racing roots Saturday, overcame an early rollover and two flat tires to hold on and capture the SCORE Overall and SCORE Trophy Truck race win at the 33rd annual SCORE San Felipe 250. The popular ‘Spring Break’ season-opener of the four-race 2019 SCORE World Desert Championship was held in San Felipe, the peaceful fishing village on the Sea of Cortez in Baja California, Mexico, 125 miles south of the U.S. Border at Calexico, Calif. Featuring the longest course in race history at 349.91 miles, this year’s SCORE San Felipe 250 started and finished for the third straight year and just the third time in race history on the Malecon beach walk along the edge of the water in the heart of town. The rugged route official closed Sunday morning at 5:36 a.m. PT. Following complete data-tracking review, results were made official at 10:30 a.m. PT on Sunday. A total of 239 official starters raced in Pro and Sportsman classes for cars, trucks, UTVs, motorcycles and quads. Entries came from 29 U.S. States along with the additional countries of host Mexico, Australia, Canada, Ecuador, Finland, France, Italy, New Zealand, Peru, Spain, Switzerland and Thailand. The race had 164 official finishers for a finishing rate of 68.62 percent in the extremely challenging elapsed time race that had an 18-hour time limit. The 239 total starters were the 11th most in the 33-year history of the race and the 164 finishers tied for sixth most finishers in race history. Helping mark the launch of 46th year of SCORE International, the World’s Foremost Desert Racing Organization was the marquee SCORE Trophy Truck division with a SCORE-record total of 44 of these ‘Monsters of the Desert’ officially starting the race, including seven in the SCORE TT Legend for drivers over 50 years old. Created by SCORE and started in 1994, SCORE Trophy Truck is the featured SCORE racing division for high-tech, 950-horsepower unlimited custom trucks. Earning his 10th career SCORE Trophy Truck race and his second overall title in this race, Andy McMillin in the SCORE Trophy Truck division and powered his No. 31 Chevy Silverado (built by Mason Motorsports) to the SCORE Overall and class win with a penalty-free elapsed time of six hours, four minutes and 26 seconds. His 10th career SCORE Trophy Truck win puts him in third place on the SCORE All-Time win list in the class behind Rob MacCachren (17), Ed/Tim Herbst (11) and Robby Gordon (11). Just a high school senior star basketball player at the time at Poway HS in the San Diego area, Andy McMillin, now 31, won his first overall title in this race in 2005, splitting the driving in the unlimited Class 1 with his father Scott McMillin. The SCORE Overall win was just one of three Class 1 victories since SCORE Trophy Truck debuted 26 years ago. Reigning SCORE Overall Motorcycle and Pro Moto Unlimited class season champions, Justin Morgan and Mark Samuels, with some added help from Justin Jones, defending their class win in this race while earning the SCORE Overall Motorcycle victory in 6:50:32 (51.14mph) on their number 1x Honda CRF450X. In addition to being the second straight win in San Felipe for Morgan, 29, El Cajon, Calif., it was the fourth straight for Samuels, 29, Yucca Valley, Calif. and second for Jones, 27, Murrieta, Calif.
Morgan rode the first 92 miles and from race mile 310 to the finish, Jones rode from race mile 92 to 179 and Samuels rode their bike from race mile 179 to 310. Helping marking the launch of the 26th year of the marquee SCORE Trophy Truck division, a race-record total of 44 of these ‘Monster of the Desert’ officially started the race and 32 of them finished (including six of the racers in SCORE TT Legend for drivers over 50 years old. SCORE Trophy Trucks have now won 23 overall in San Felipe in the 26-year history of the featured SCORE racing division. In this year’s race, SCORE Trophy Truck captured the top 13 overall finishing positions. In 33 years of this race, Honda has now earned 22 overall motorcycle victories (including 20 of the last 23 years), Kawasaki has seven, KTM has three and Husqvarna has one. The fastest Pro UTV in the race and Pro UTV FI class winner was Wayne Matlock, Alpine, Calif., 41, Alpine, Calif. who won in 8:23:51 in his No. 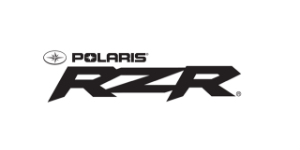 2971 Polaris RZR XP4 Turbo. Wayne Matlock defeated a total of field of 30 UTVs in San Felipe including 21 starters in the Pro UTV forced induction class. It was also his seventh class win in San Felipe and third win in a row in this event. Crossing the finish line shortly after her husband Wayne left the finish line ramp, Kristen Matlock, 38, kept things exciting for the Matlock family while winning the Pro UTV (Normally Aspirated) class with a time of 9:12:56 in her No. 1954 Polaris RZR XP4 1000. As added icing on the Matlock victory cake, both Wayne and Kristen drove solo in the race. Kristen also finished fourth overall among the 30 UTVs in three classes that started the race. It was also the second straight year that the Matlocks both won their respective classes in San Felipe. And for the second consecutive year they both ran penalty-free races. All third-generation SCORE desert races, joining Andy McMillin among the top five finishers this year from the McMillin family were Andy’s cousins Dan McMillin and Luke McMillin. Dan McMillin, 31, finished third overall and in SCORE Trophy Truck in a time of 6:06:30 at 57.28 mph in his No. 23 Ford F-150 (Racer). Luke McMillin, 26, finished fifth overall and in the marquee SCORE racing division in 6:09:44 with an average speed of 56.78 mph in his No. 83 Ford F-150 (Racer). Practically raised in SCORE Baja racing by his grandfather, the late Corky McMillin and their fathers Mark McMillin (Dan and Luke) and Scott McMillin (Andy). All the prominent McMillin family of racers has had multiple career class wins in SCORE Baja races. In last year’s SCORE San Felipe, the McMillin trio finished in the top six Overall and in SCORE Trophy Truck with Luke third, Andy fourth and Dan in sixth place. Besides the three McMillins, rounding out the top five finishers overall and in SCORE Trophy Truck were Ryan Arciero and Zak Langley. Arciero, Foothill Ranch, Calif., improved on his fifth-place finish in 2018 by finishing second behind Andy McMillin this year with a time of 6:06:14 (57.33mph) in the No. 32 Ford F-150 (Herbst-Smith). COPs racing put Zak Langley in the top five with a fourth place overall and SCORE Trophy Truck finished with a time of 6:09:40 with an average speed of 56.79mph. In addition to Andy McMillin, Samuels, W. Matlock, K. Matlock, some other racers added to the multiple win totals in San Felipe. Brad Wilson, Long Beach, Calif., won for the second time in the unlimited Class 1, Mike Coleman, LaJolla, Calif., won for the second straight year in Class 7 and Art Penner, Lynden, Wash. (Canada) also won for the second consecutive year as well in Class 11. Said Sanchez, Tijuana, Mexico, won for the third time in the Pro quad class. Giovanni Spinali, 52, El Cajon, Calif., won the Pro Moto 50 class (riders over 50 years old) for his fourth class win and third straight in San Felipe. Part of Spinali’s team, Earl Roberts of Mexicali, Mexico picked up his fifth class win in this race. Danny Magdalena, Acton, Calif. won in SPT quad for the second straight year. Several racers won in the SCORE San Felipe 250 for the first time as driver or rider of record. Among the car, truck and UTV classes, first-time winners included Scott Bailey, Riverside, Calif. in SCORE TT Spec and Austin A. J. Jones, Litchfield Park, Ariz. in Trophy Truck Spec. Jones drove solo to victory. For Jones, the 23-year old son of 210 SCORE Trophy Truck season point champion Jesse Jones, it was his first SCORE race victory as driver of record and Bailey is the reigning SCORE TT Legend class champion and his first win in San Fellipe. Bailey also finished 14th overall in winning his class while Jones finished 16th overall among four-wheel vehicles, both very impressive feats. Both SCORE TT Legend (7) and Trophy Truck Spec (29) had SCORE-record number of starters. Other 4-wheel vehicle class winners included Cesar Cuevas, Chula Vista, Calif. in Class 10, Freddie Willert, El Cajon, Calif., in SCORE Lites, Eric Pavolka, Sonoita, Ariz. in Class 1/2-1600, Josh Herzing, Cypress, Texas in Pro UTV Unlimited, Don Daley III, San Diego, in the Baja Challenge class and Brandon Walsh, Encinitas, Calif. in Class 7F. 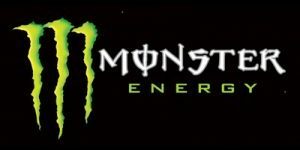 Among the first-time winners in the motorcycle classes as rider of record were Aaron Richardson, Canada, in Pro Moto Ironman for solo riders, Ryan Liebelt, Reedley, Calif. in Pro Moto 30 and Jason Trubey, Henderson, Nev. in Pro Moto 40. Inducted into the Off-Road Motorsports Hall of Fame in 2010, SCORE Baja racing legend Johnny Johnson was the Grand Marshal for this year’s 33rd SCORE San Felipe 250. SCORE President/Race Director Jose A. Grijalva worked diligently with the government officials and ejidos of the Mexicali and San Felipe areas to develop a memorable SCORE San Felipe 250 race course of 349.91 miles, the longest in the history of popular SCORE Baja desert race. This year’s grueling race course was another beauty to behold but a tough challenge to race on. It ran in a clockwise direction running over high-speed dry lake beds, through low-speed winding, rock-strewn, twisting canyons and trails, along quick-paced dirt roads and through three of Baja’s most infamous washes in Azufre, Matomi, and Coabuso. It featured three physical, full-stop checkpoints and 96 virtual checkpoints. SCORE has announced that the 2019 SCORE World Desert Championship will be televised on the ABC TV family of networks, marking the first time back on the ABC network since the 1967 and 1968 coverage of the Baja 1000 on ABC’s old Wide World of Sports show.